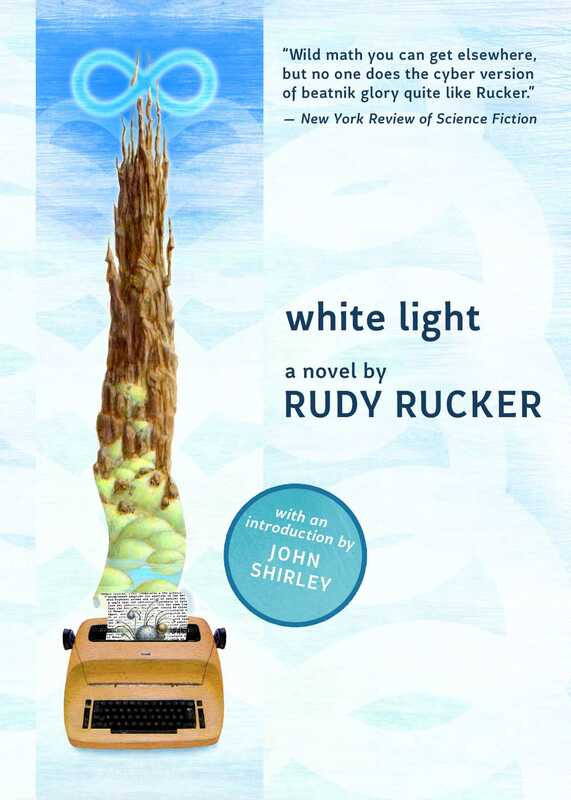 Author Rudy Rucker offers a unique vision of life, death, and the infinite worlds that lie beyond in this thought-provoking, inspiring, romantic—and funny as hell—mathematical SF novel. Young prof Felix Rayman spends his days in another world. Between teaching indifferent students, pondering his theories on infinity, napping, and worrying about his wife, he’s barely here. But when his dreams separate him from his physical body, Felix plunges headfirst into a transfinite universe that looks a lot like the afterworld—complete with angels, demons, and the restless souls of the dead. And it only gets stranger, as his trials and tribulations—in the company of a giant talking beetle—send Felix up other-worldly peaks that range past infinity to the zone of the White Light, where Nothing and Everything are the same.